In 2007 the then Chancellor Gordon Brown confirmed changes to Inheritance Tax in his last Budget address as Chancellor. In this last Budget speech he thoroughly dumbfounded critics who believed that he would make a poor inheritor of the Premiership (as he was then waiting in the sidelines to take Tony Blair’s job) by effectively slashing inheritance tax for a percentage of the population. After a long drawn out debate over the years in which the Tories pointed out the failings of an Inheritance tax system that seemed liable to catch more and more people in the Inheritance Tax trap as house prices rose and their estates increased in value, the Labour Party finally buckled and stole the light from the dumbfounded Tories by announcing for themselves a cut in the tax. Under the changes Brown proposed to (as has now been enshrined in law) increase the basic rate of inheritance tax from £300’000 to £350’000 by 2010-2011 in increments, thus raising it to £312,000 for the 2008-2009 tax year, £325,000 for the 2009-2010 tax and to £350,000 for 2010-2011. Further changes announced by Brown’s successor as Chancellor, Alastair Darling, concerning the way in which married couples are taxed. Previously under inheritance tax laws married persons and persons involved in Civil Partnerships could only use the nil rate of £300’000 (as it is unto it changes in the 2008-2009 tax year) once (upon the death of the first partner). Under the new laws, this nil rate would be transferable. This means that a combined amount of £600’000 can eventually pass to the beneficiaries of those who are married or in Civil Partnerships, rising incrementally to £700’000 by 2011. One criticism of this policy is that it penalizes the children of parents that have separated without remarrying. This law is back dated to account for those who have been widowed by spouses prior to Darling’s announcement in October 2007: Effectively they can claim again for the nil rate amount on their first £300’000 of their Estate when they had fully expected otherwise not to have been able to, making them the main beneficiaries of this change in law. This new law also effectively means that an Estate owned between a couple can more effectively be split up –with some being passed to the children on the death of the first spouse, leaving the second spouse to still pass on the rest potentially completely tax free. Despite the changes in the law pressure mounts to make further promises of change in the face of Tory claims that they will abolish inheritance tax altogether. However, with concessions having been made so recently any further change is extremely unlikely, and we may well see the Tories drop their pledge as we come closer to an election – or indeed after the election! 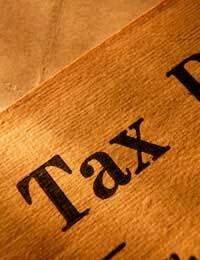 The fact is that with nearly £3billion raised each year from Inheritance Tax it may well be here to stay!